While all the media hype lately has been about bitcoin, a sleeping giant in the monetary space has awakened. The sleeping giant is gold. The dollar price of gold per ounce was up 8.6% in 2016, 13.1% in 2017 and 2.7% so far in 2018. Overall, gold has rallied 27.3% from its low of $1,051 on Dec. 15, 2015. That December 2015 low marked a 50% retracement from the $1,900 high of September 2011 (using the August 1999 interim low price of $253 as a baseline). Turning points in bull and bear markets are rarely seen in real time. Any low can go lower and any high can go higher. Volatility in the dollar price of gold is the norm. It’s only with the benefit of hindsight that we can see a turning point has been realized. From today’s perspective, it’s clear that 2011–15 was a secular bear market and that a new bull market began in December 2015. It’s also typical that new bull markets surpass the previous highs, given enough time. For now, gold is solidly over $1,300 per ounce and poised to go to $1,400 per ounce by mid-2018. Beyond that, we expect gold to gradually take out the old high and push past the $2,000 per ounce psychological boundary. 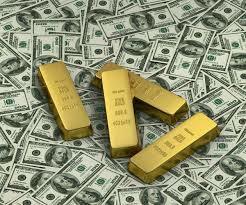 My intermediate-term price target for gold at $10,000 per ounce based on a coming monetary crisis is unchanged. But that won’t happen all at once. There’s a lot of daylight between $2,000 and $10,000 per ounce. No doubt the ride will be volatile with some peaks and valleys along the way. But as this article shows, the new bull market has begun, and investors who have not yet reached my recommended 10% allocation of gold still have time to jump on board and enjoy the ride.